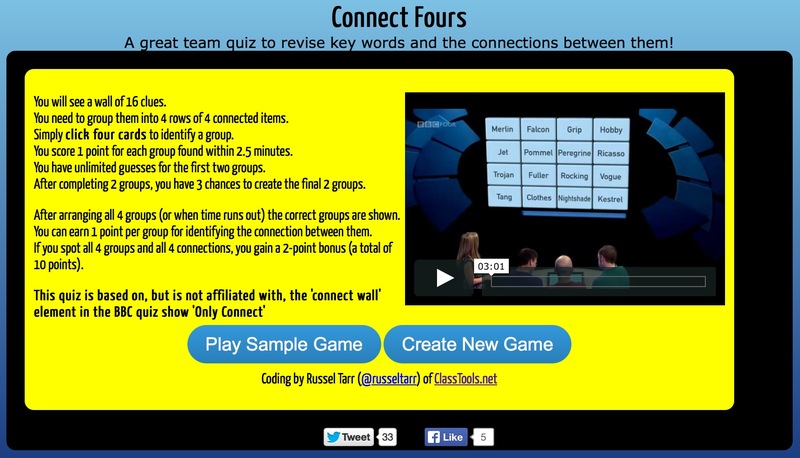 I have coded this brand new quiz generator based on the popular BBC Quiz game! Provide students with 16 subject-specific terms in a 4X4 grid. Teams have to re-arrange the grid into four horizontal lines of connected terms. They then have to explain the connection between the 4 terms in a fifth column in each row. 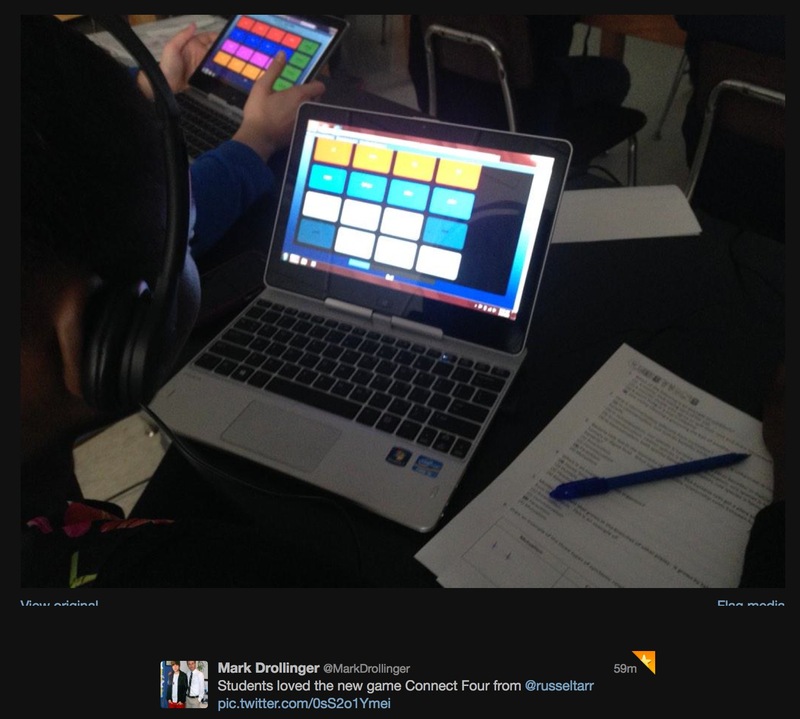 Taking it further: Prior to playing the game, students could play the keyword challenge game. At the end of the game, they could play a game of Tic Tac Know with the completed grid (with bonus points given to teams who construct sentences joining vertical / diagonal lines). 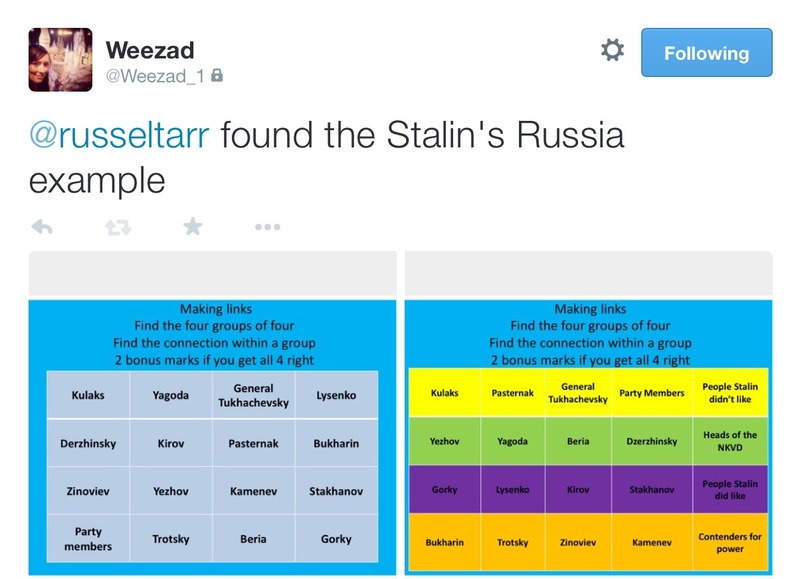 Here’s another nice example shared with me on Twitter by @Weezad_1.